9', 3/2 Granger Special. The line weight is 6. 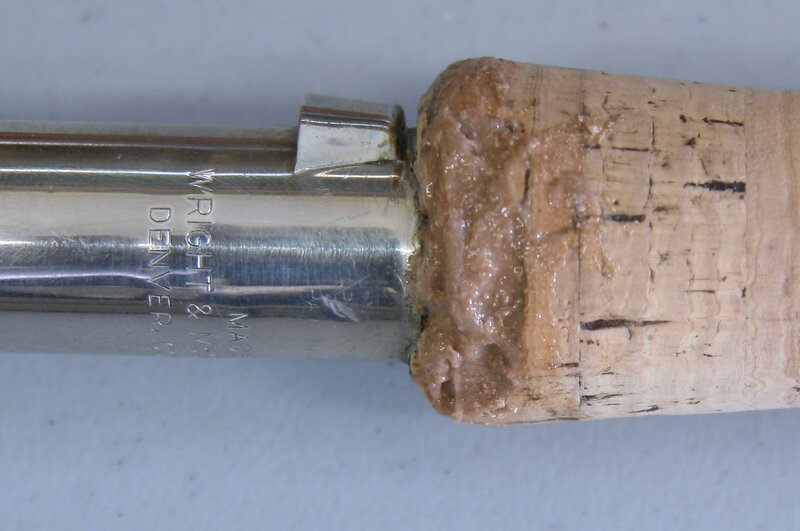 Half wells cork grip. Patented nickel silver up-locking reel seat. The rod has been rewrapped in non-original green thread. Nickel silver ferrules sizes 13 and 19. Includes replacement cloth bag and aluminum tube. 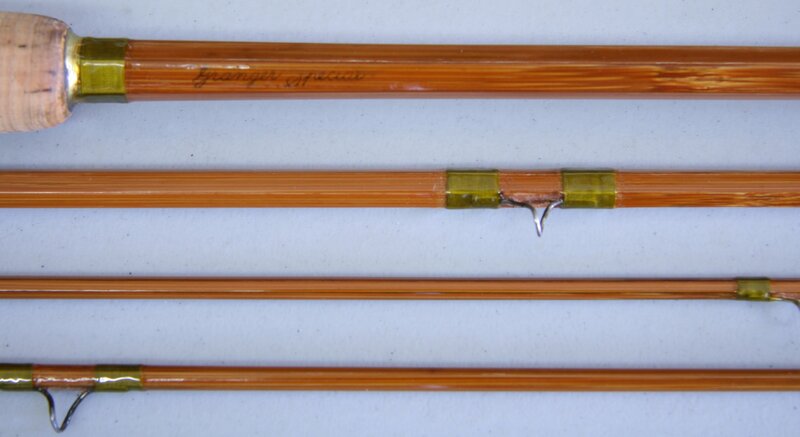 This rod was crafted between 1946 and 1948. There are several varnish runs in the finish, one of the tips is 5 inches short, the stripping guide is non-original, there is a slight indentation in the fore part of the grip similar to a South Bend Comficient grip. There is also some damage to the base of the grip which has been repaired.